From February 19 to 21, WYA Europe staff were in Prishtina, Kosovo to train members in WYA’s Certified Training Program. 15 very motivated youth from different cities in Kosovo participated in an intense three-day training. Day 1 was dedicated to learning about WYA’s foundational history, the mission and values WYA represents, and policies it advocates for on the European level. Participants also tackled the complex texts of WYA’s Certified Training Program, where they explored the fundamental arguments in favor of Human Dignity, as explained by Martin Buber, C.S. Lewis, and Mahatma Gandhi. Day 2 was dedicated to exploring the notion of freedom for excellence, comparing the thoughts of the Dalai Lama on “Our global family” with WYA Declarations on Family and Solidarity, and learning about WYA’s programs HDC and FEMM. Participants also tried to understand what characterized the social changes achieved by Mahatma Ghandi and the Solidarność movement in Poland, and how we can achieve them today. The final day started with studying the history of ideas to see how today’s movements and policies were influenced by them, and watching the movie Why Beauty Matters to understand the relationship between art and beauty. The practical workshop on International Law and Reproductive Health was held in the afternoon, where the participants learned how to follow EU reports, draft amendments, make voting recommendations and much more. The certifications are scheduled for February 9, after which all certified members will start with the activities of WYA Kosovo Chapter. 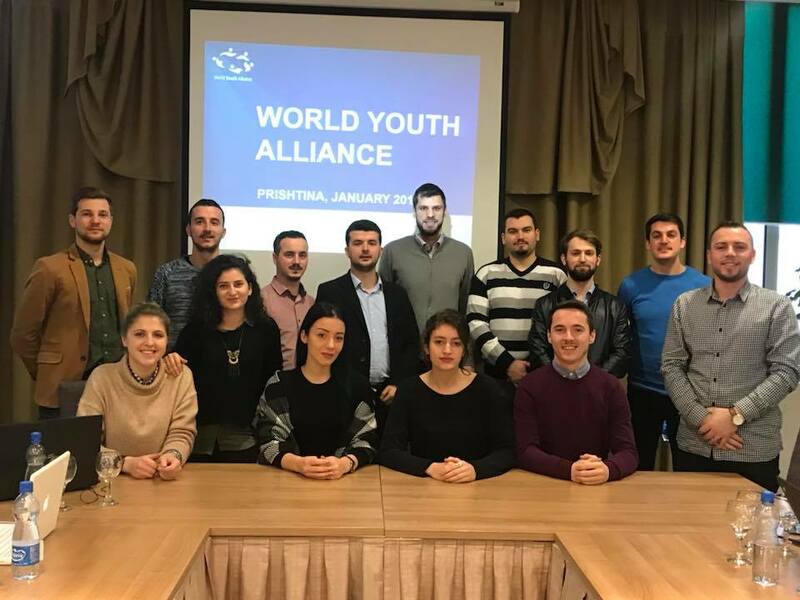 The members of the Kosovo Chapter are already showing a promising potential and we are eager to start working together on bringing WYA’s mission to Kosovo.